Look just about anywhere and you’ll likely see a fitness tracker on most people’s wrists. Over the past few years, fitness trackers seem to have taken our world by storm, as millions of people everywhere track their steps, activity level, sleep, and heart rate, all in hope of staying healthy. Brands like FitBit, Jawbone, Garmin, Samsung, and of course, Apple, have created a myriad of devices with the ability to do just that. Every brand markets its product through its claims to help you achieve your fitness goals. Step trackers have an array of features that can give you great insight into your lifestyle. Moreover, they can do even more by improving your finances as well. Here are a few ways fitness trackers can improve your health and finances. One of the key features on many fitness trackers is your ability to track your diet in your profile. Fitbit, for example, allows you to track what you ate and how much, throughout the day. You can also input your target calorie intake all in your user profile. In other words, it allows you to keep a food log. One common idea is that your ability to lose or maintain weight is based 20 percent on exercise and 80 percent on what you put into your body. If that’s truly the case, by logging your daily meals and snacks into your tracker program, you’ll ultimately be more aware of what you eat and how many calories per day you’re actually consuming. Moreover, even with no one reading your log, the idea of actually writing every morsel of food you eat down, for some reason, makes the user want to eat healthier. After all, no one wants to put into print that they had McDonald’s three times a week. In terms of your finances, you might be surprised how much your eating habits play into those as well. Although it might seem counterintuitive, when a fast food chain offers you a meal at $5, purchasing groceries and cooking at home is actually cheaper in the long run. Groceries might seem expensive, but they ultimately go a longer way to make more meals. Furthermore, when you cook a meal at home, you’ll likely have leftovers, which equates to fewer times you have to buy new food or go out for dinner. In the end, saving you money overall. When most people purchase fitness trackers, they do so with the intention of tracking their steps. After all, Fitbit’s main attraction is that you reach 10,000 steps every day in order to keep yourself moving and fend off a sedentary lifestyle. More than just steps, however, most fitness trackers count the amount of time you exercise. Whether you want to reach your goal of 10,000 or find new ways to get in a workout, a fitness tracker will have you increasing your activity level. This improves your overall health, as well as possibly decreasing the amount of time you spend sitting on the couch. Depending on where you live, one of the ways in which you attempt to achieve your exercise or step goals is to commute via walking, riding your bike, running, or even rollerblading. Whatever method you choose, apart from improving your health, by not driving you’ll also save on gas. And anytime you can save on gas, is a time that you’ll save money. Fitness trackers and the shift to healthier lifestyles within our culture have created a bit of a competition. What maybe began as friendly competition to see who could achieve the most steps for the day, has turned into a variety of fitness challenges that often end in prizes or money. Many friends, families, coworkers, and companies have begun forming challenges for tracker users to participate in. Whether it’s to see who can gain the most steps every day, or who can consistently work out, most people’s competitiveness usually causes them to enter into the competition. The benefit? Aside from forming healthy habits of course, is that most people compete in these challenges for money. If that’s the case, you could choose to participate in an array of challenges and ultimately make some extra cash. The end-goal of wearing a step tracker is to push yourself into a healthier lifestyle. It’s to make you more aware of what you put into your body and persuade you to stop binge-watching your favorite show and instead, get out and move. While there are genetic and certain unavoidable factors that can take their toll on your health, a large part of staying healthy is the habits you keep. In fact, you just might find that a shift towards a more active lifestyle and a better diet could result in fewer injuries, sicknesses, and doctor visits. Fewer health care needs means more money in your pocket, because even with insurance, medical bills tend to be anything but cheap. So, while I’m not saying a fitness tracker will solve all your medical problems, I am saying that a healthier lifestyle could reduce them. Anytime you start feeling good in one area of your life, you want it to translate into other areas as well. Your health and wellness is one that you have some control over. A fitness tracker helps you do that. While it might not seem inherent, once you begin feeling better, you might find that you want to feel that way in your home, job, and even finances. But an easier was is to check out this accounting agency to help you out instead. It could cause you to push yourself at work or into taking a better job, or simply make you budget better and organize your income in a better way. Eventually, healthy habits translate into most areas of your life, which means your body and your wallet will be happy. A fitness tracker isn’t going to solve every problem or area of displeasure in your life, but it can make you more aware of what you need to do to shift yourself towards a healthier life. 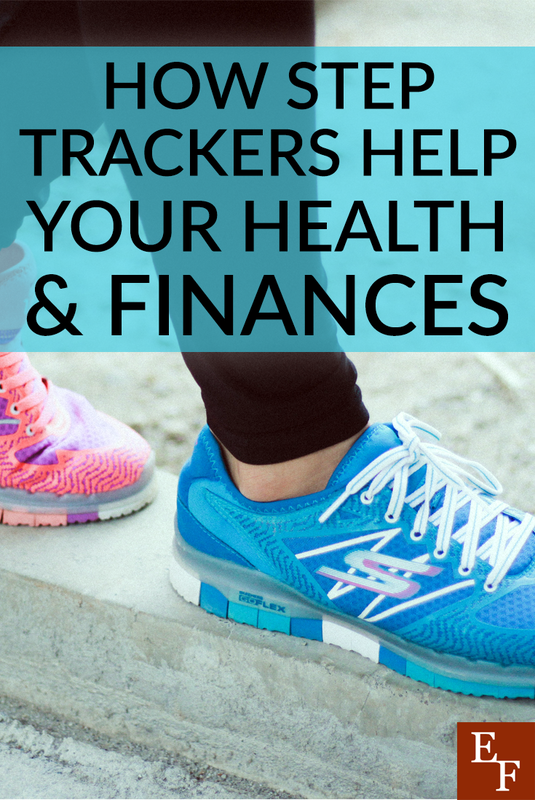 Whether that’s your actual body and health or other areas that need work, like your finances, you might be surprised the affect step trackers could have. Like I said, once you start feeling good and energized on the physical front, the effect has a tendency to radiate. Have you found any step trackers that you prefer? Do you find yourself using it religiously?